I am long over the novelty of pixel art throwbacks. No longer can a game impress me solely by invoking my nostalgia. 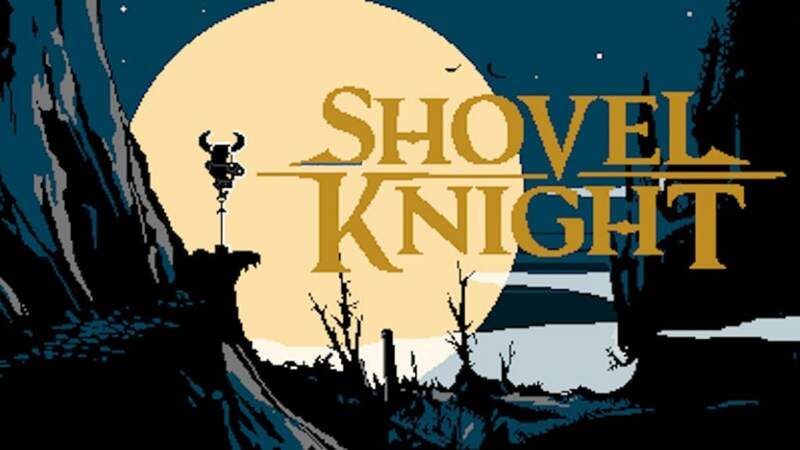 But Shovel Knight doesn't just look like a game from the 80s, it plays like one too. This tight, exacting platformer encapsulates all that was good about this early era of gaming, in an exciting and punishingly difficult new experience. It is all about the 80s. 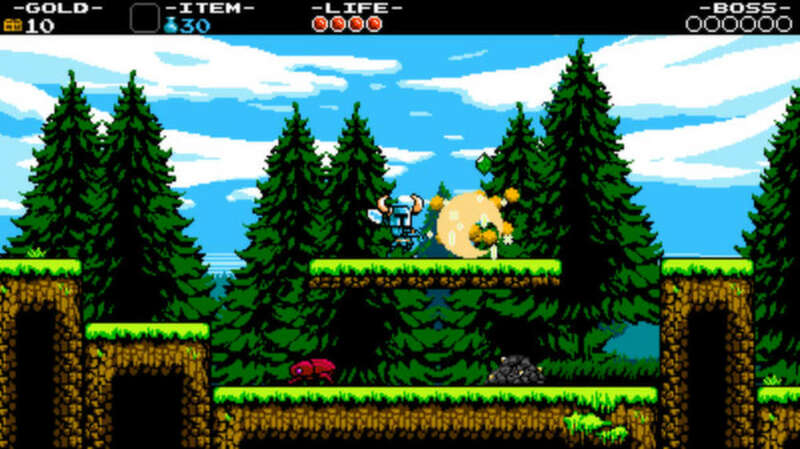 Shovel Knight takes classic elements from games of the era, such as Castlevania 2's towns and items, Megaman's power-ups and level structure, and Mario Bros. 3's world map, to create a brilliant platform adventure. 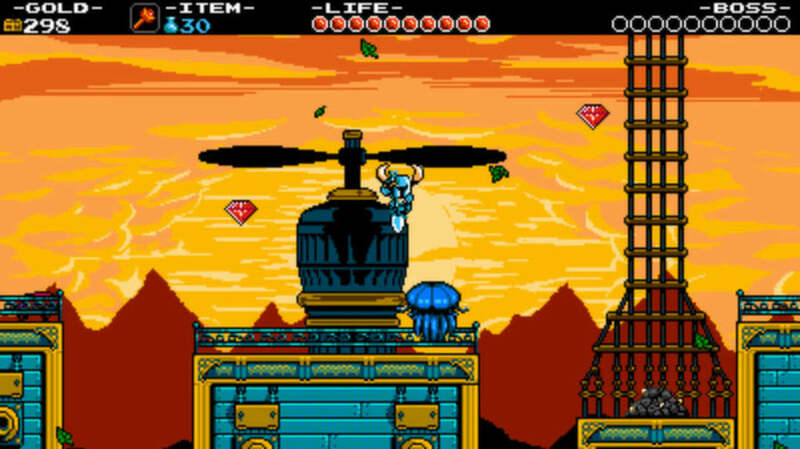 Taking control of Shovel Knight (who, as the name suggests, uses a shovel as a weapon), you must come out of retirement to battle the evil Enchantress and her minions in your quest to seal away the Tower of Fate and rescue your beloved Shield Knight. 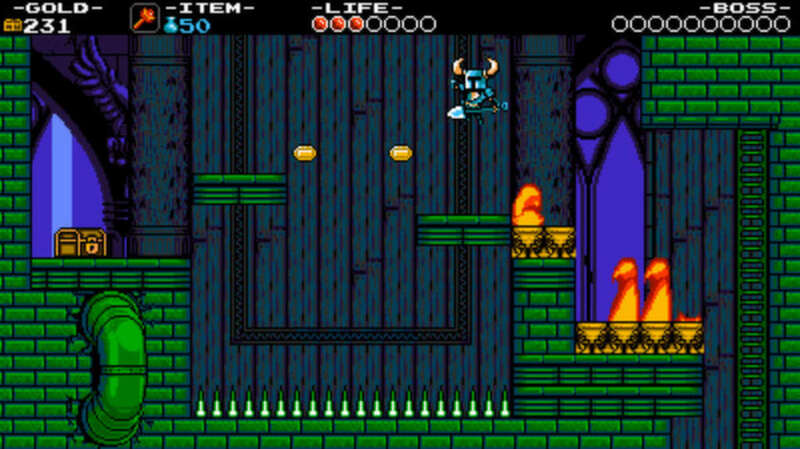 Shovel Knight does not try to expand on what would have been possible in the era it imitates. Bar auto saves and the ability to render more than two sprites without experiencing slow down, the game does nothing an old NES title wouldn't have been able to do. The most noticeable mechanical one of these by-design-restrictions, is that it only uses directional inputs and two buttons to control the action (jump and attack). The other face buttons act as you would expect the old start and select buttons to (pausing the game, and opening menus). 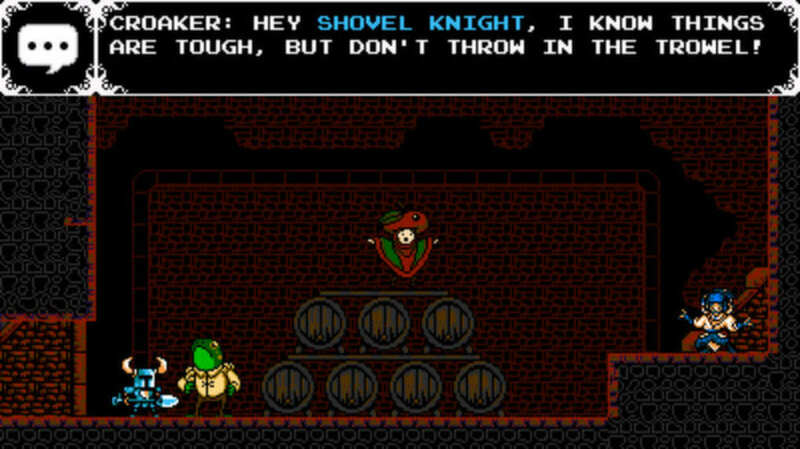 Considering the relative lack of inputs, Shovel Knight manages to give you a surprising amount of combat options. 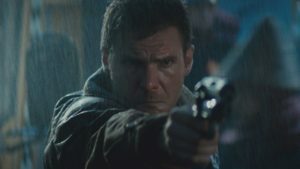 Between holding down to perform downwards strikes from the air (allowing you to pogo between enemies), to holding up and attack to unleash your equipped special ability, you will find surprising depth in the controls. Each new skill or item that is introduced gives you more options in how to face the challenges ahead, but some areas demand a very specific approach. The clearest of these is the Forest of Phasing, an area that teaches you how to use the invincibility ability. 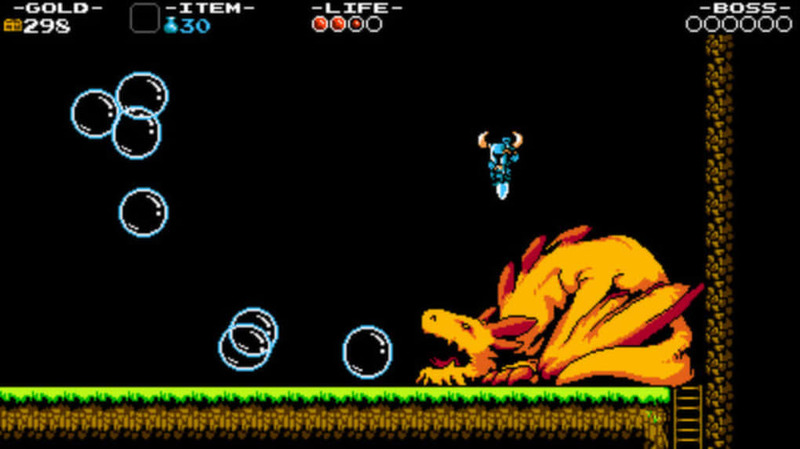 By equipping the Phase Locket, a simultaneous tap of the attack and up buttons render Shovel Knight able to run across spikes and other danger unfazed for a short time. This area demands that you master your new skill on the move, activating the power at just the right moment to land on spikes, pass through attacking birds, and make it to safety, before its effect wear off. A true trial by fire, but one that ensures you have the skills you need to progress. 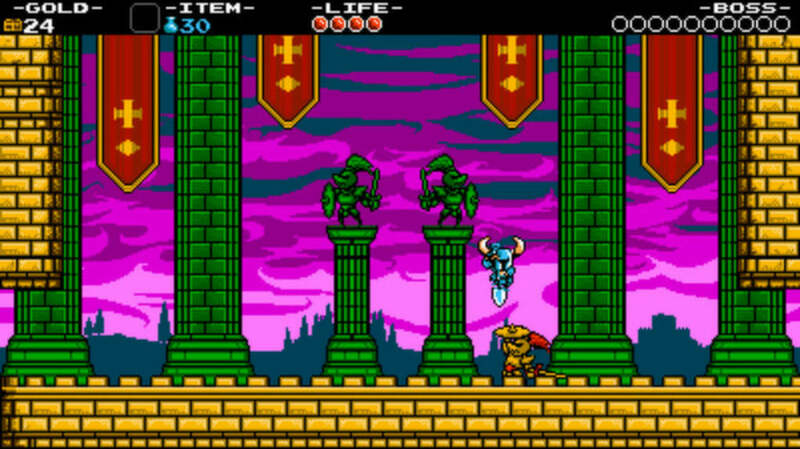 From your very first glance Shovel Knight's designers' love of their influences are instantly clear. 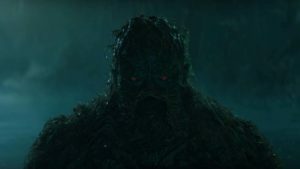 While it may introduce a few extra colors to each individual screens over its 8-bit grandparents, the overall palate and tone of the world is perfectly selected. This joins with stunning sprites and beautifully detailed backgrounds to create a wonderful game world. The chiptune audio is just as lovingly crafted. Each new level and boss fight introduces a blippy new soundtrack to keep your toes tapping as you play. 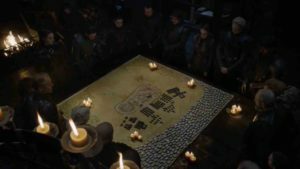 The music is so good in fact, that I would regularly visit the town to see the bard who would play a tune of my choice from the music sheets I had collected (one of the game's collectibles). 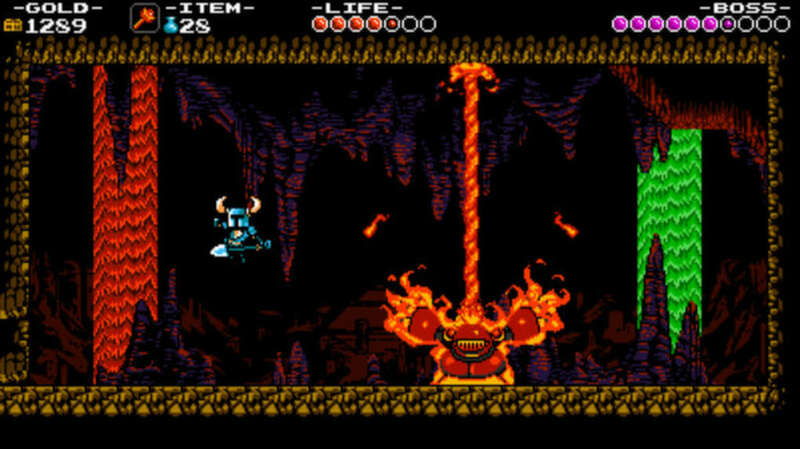 Digging down into the bedrock of gaming history, Shovel Knight pays homage to some of the all-time greats with its beautifully designed platforming and visual style perfectly evoking the target era. Were it made some 30 years ago it would sit alongside these classics comfortably; as it stands it is a reminder of why they were so great. What do you think about Shovel Knight? Do you recommend it? Why?